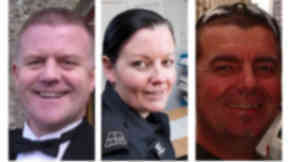 David Traill was among ten killed when a police helicopter crashed in Glasgow in 2013. 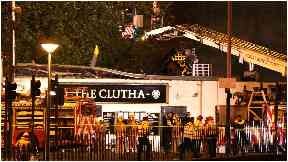 FAI: The helicopter crashed through the roof of the Clutha. The pilot of a police helicopter which crashed into a pub killing ten people could have been "dangerously misled" by an error in a maintenance manual, a fatal accident inquiry has heard. 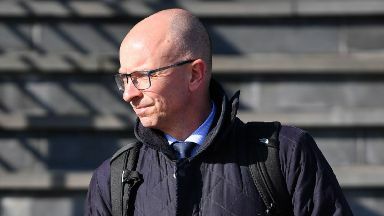 Marcus Cook, senior inspector at the Air Accidents Investigation Branch (AAIB), was questioned by Donald Findlay QC, representing the family of victim Robert Jenkins, at the inquiry on Wednesday. David Traill, right, was one of three people on board the helicopter. Mr Cook said: "I've absolutely no idea". He added that he would not have done so. He replied: "Unfortunately we could not come to a positive conclusion apart from not landing in ten minutes."